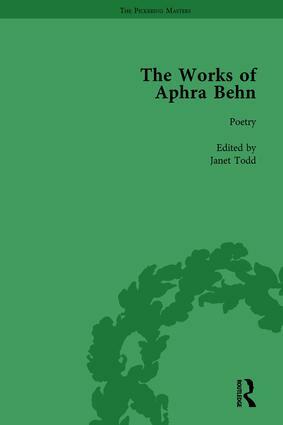 Aphra Behn (1640-1689) was one of the most successful dramatists of the Restoration theatre and a popular poet. This is the first volume in a set of seven which comprises a complete edition of all her works. This volume is a collection of her poetry.